Coronaviruses are common viruses that most people get some time in their life. They are common throughout the world, and they can infect people and animals. Several different coronaviruses can infect people and make them sick. They usually cause mild to moderate upper-respiratory illness. But, some coronaviruses can cause severe illness. 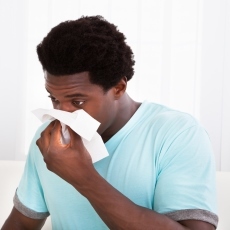 You may be able to reduce your risk of infection by washing your hands often with soap and water, not touching your eyes, nose, or mouth, and avoiding close contact with people who are sick. There is no vaccine to prevent coronavirus infection. There are no specific treatments. You can relieve symptoms with pain and fever medicines and rest.